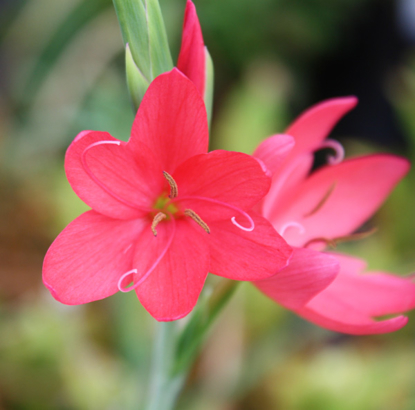 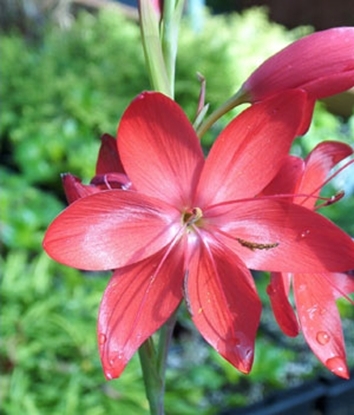 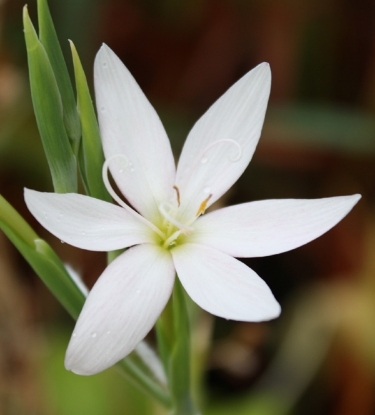 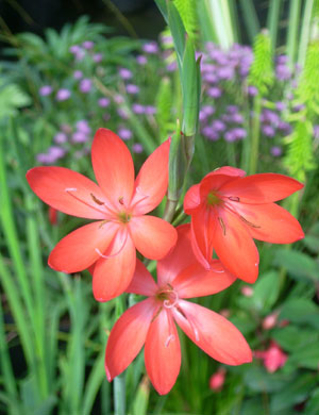 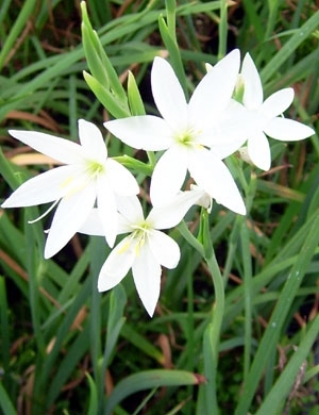 Schizostylis [Hesperantha] coccinea CAPE LILY. 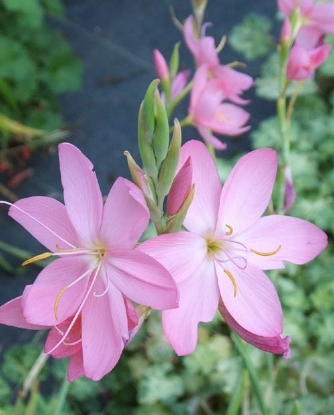 An amazing group of plants from South Africa, amazingly rigid for our climate. 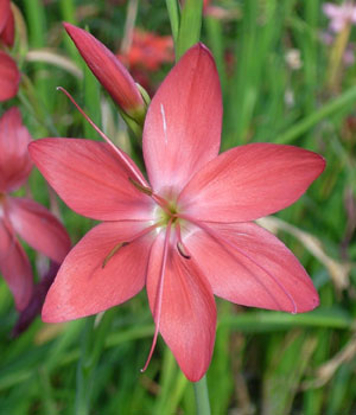 Out of a clump of broad-grassy foliage appear gladiolus-like spikes of star-shaped flowers in bright colors, in the North West lasting past Christmas is not uncommon. 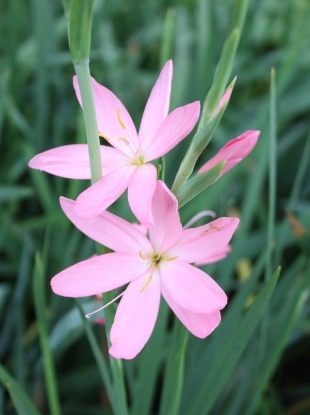 They like a well drained soil, but not too dry in summer. 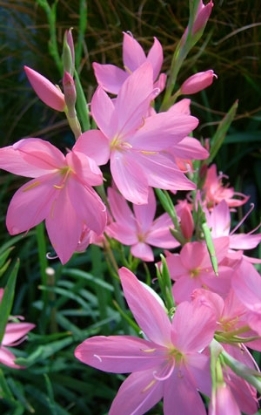 Excellent cut flowers.